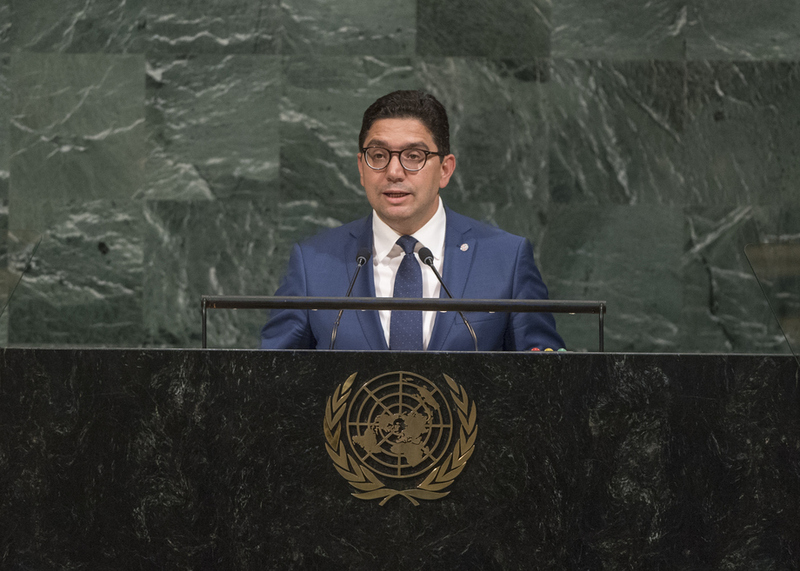 NASSER BOURITA, Minister for Foreign Affairs and Cooperation of Morocco, said the world was at a crossroads, with security under threat from terrorism, extremism, separatist movements and climate change. Globalization and information technology had also had a profound impact, but effective global multilateral organizations could help to solve the challenges confronting the world. Africa could no longer be regarded as a burden, he said, adding that the continent had not gained its rightful place in collective action to date. Africa should not be dealt with exclusively in terms of assistance, given its human resources, including 1 billion young people, its natural resources and its fertile lands and water. In the view of the King of Morocco, South-South cooperation held promise, he said. Emphasizing that Morocco had aligned its national priorities with the United Nations agenda, he said the country was contributing to strong regional cooperation, including by chairing an international forum on migration that sought to draw up proposals looking beyond security concerns to consider the human aspects of that phenomenon He pointed out Morocco’s contribution to six peacekeeping operations and voiced deep concern over irresponsible attacks on peacekeepers, stressing that the perpetrators must be brought to justice. There was need for a new concept of peacekeeping that would put troop-contributing countries at the heart of decision-making, he said. Concerning the Palestinian question, he noted the efforts of the United States, while emphasizing that Morocco opposed any change to the status of Jerusalem and the Al Aqsa mosque. As for Western Sahara, he reaffirmed his country’s readiness to work with the Secretary-General and his Special Envoy towards a peaceful settlement on that territory, which would maintain Moroccan sovereignty and territorial integrity. He also drew attention to the tragedy of the Tindouf camps and called upon the international community to pressure the relevant host country to allow UNHCR to register everyone all their inhabitants.